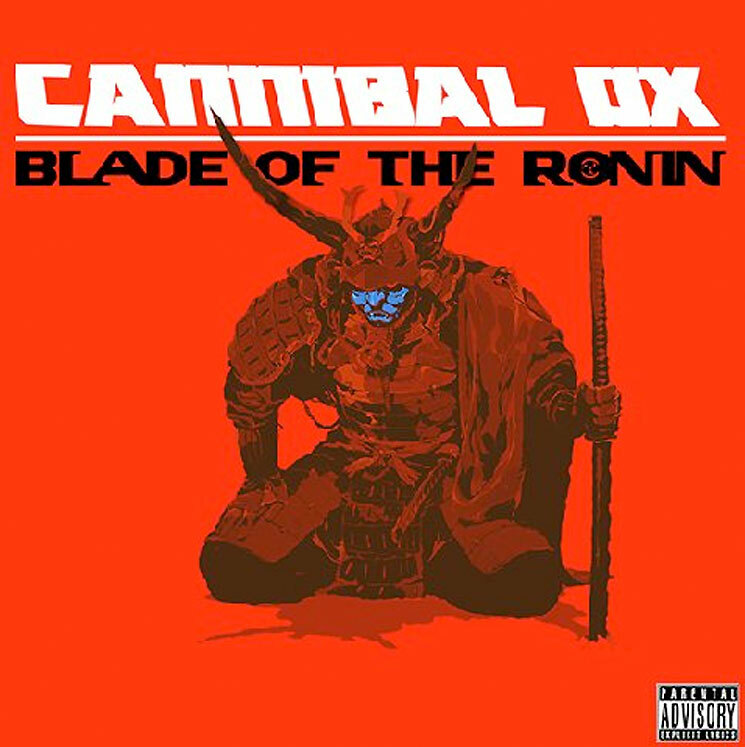 Although it took Cannibal Ox a decade and a half to finally unsheathe their sophomore LP, the New York duo's edge is sharper than ever on Blade of the Ronin. Sure, Vast Aire and Vordul Mega's preceding album, 2001's The Cold Vein, was innovative for its raw production and the off-kilter tone of the MCs, but it was also checkered with pun-laden lyrics, including Aire's lines about life being not nice but "mean" and death "being the median" on the older album's opening track, "Iron Galaxy." Since then, Aire has vastly honed his craft, wielding viciously creative words on the Ronin opener "Opposite of Desolate," like: "You will never see the vipers when they come out the sand / You will never see the cobra head, as it expands / I change my skin like Sartan." However, Aire is still quite prone to ridiculous hyperbole. On the aforementioned "Desolate," he also claims to have jumped "out of the airplane headfirst," and on the tail end track "Iron Rose," he boasts about being "born in an iron galaxy." And yet Aire swings those hilariously ham fisted punchlines with so much conviction that they become dizzying knockouts (a feat that more featherweight MCs could never achieve). And while Aire's overreaching may be entertaining, it often leaves plenty of room for the album's guests to steal the show with tighter triple entendres. Case in point: MF Doom, who annihilates the last verse on "Iron Rose" with nimble needlepoint lines like: "Iron clad and rhyming / At the droppin' of a diamond / Filthy metal fingers get it poppin' like a hymen." The voracious U-God and the always loquacious Elzhi drop in for praiseworthy verses, too. Blade of the Ronin's producers deserve kudos, too. Detroit studio wizard Black Milk helms the brawny Blaxploitation beat for midway track "Blade: The Art of Ox," which may boast the album's catchiest instrumentation. That accessibility juxtaposes sharply with album's remaining, hauntingly skeletal tracks, contributed by up and comer Bill Cosmiq, whose nuanced instrumentation complements the LP's subtlest player, Vordul Mega.